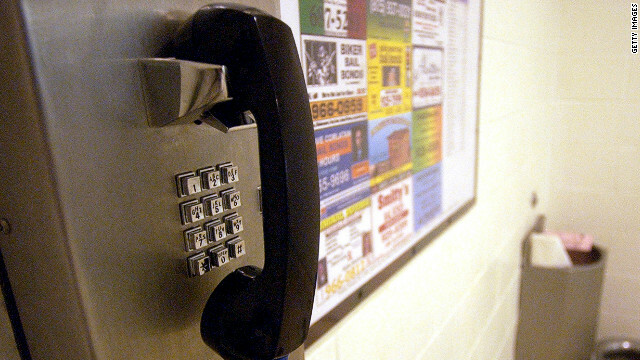 High prison phone rates hurt families and can hamper rehabilitation, activists argue. [2:33] "It was the biggest rip off that I've ever seen. An absolute scam being put on in the jails." Campbell serves on the Public Service Commission in Louisiana. Recently, he championed a measure that reduced the cost of a prison phone call by 25 percent. For him and other activists it's important that families can easily afford to keep in touch with their loved ones. Prices vary across the United States but activists say they can be as high as .89 cents a minute. Telecom companies have said that providing services to prisons requires costly surveillance to ensure that nothing illegal is discussed. But activists say the rates are high because, in most states, companies pay commissions to the state and local governments. [4:39] "New York has I think the lowest prison phone rates in the nation after they did away with their commission kickback which was almost 60 percent and the rates have since dropped to under 5 cents a minute. " The Federal Communications Commission has also said they will look at this issue and activists can count Jason Mewes among their supporters. The actor best known for playing one half of the slacker duo, Jay and Silent Bob, recently produced a public service announcement calling for lower rates. [1:52] "So when we did talk all my mother would want to do was try to rush in as many questions to me as possible. So I never got to ask her and talk to her about anything."